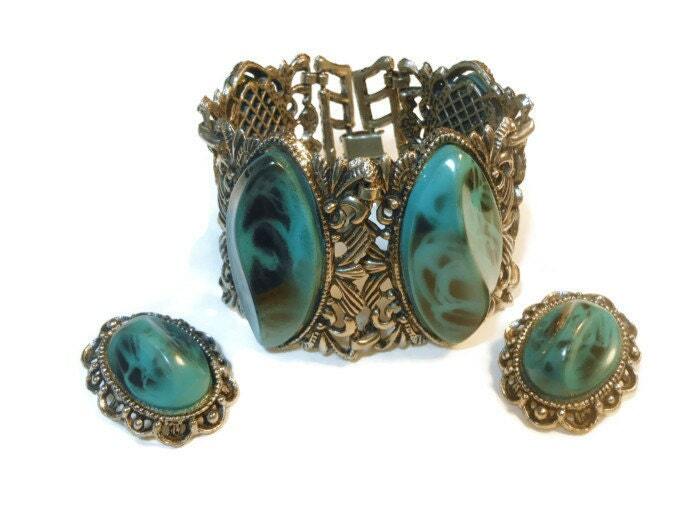 Large faux turquoise thermoset, four panel bracelet and clip earrings Southwest style. Big, bold, beautiful these are crying out for a pair of jeans or a peasant dress! Pull your outfit together with this set. 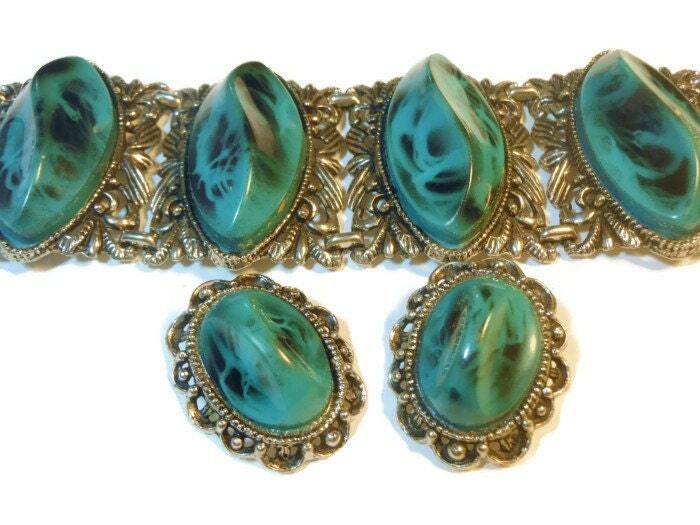 This antiqued silver tone set has large faux turquoise teal cabochons and is surprisingly lightweight. 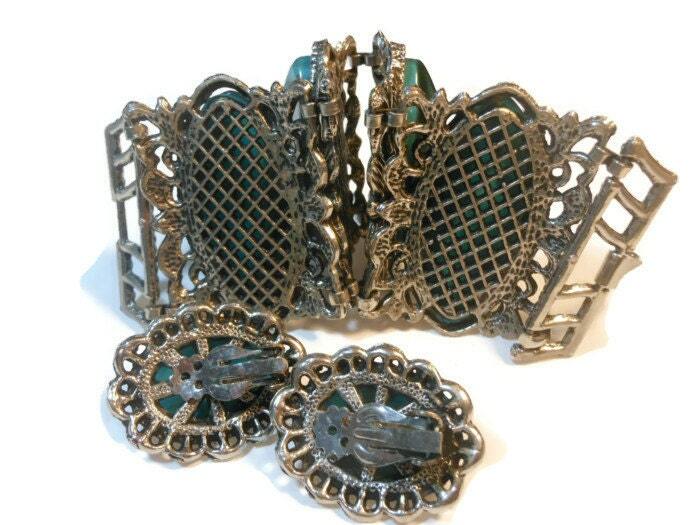 The bracelet measures 7-1/2" ( 19.1 cm) x 2" (5.1 cm) and, with the exception of some peeling of the silver on the backs of the clips, is in very good vintage condition. 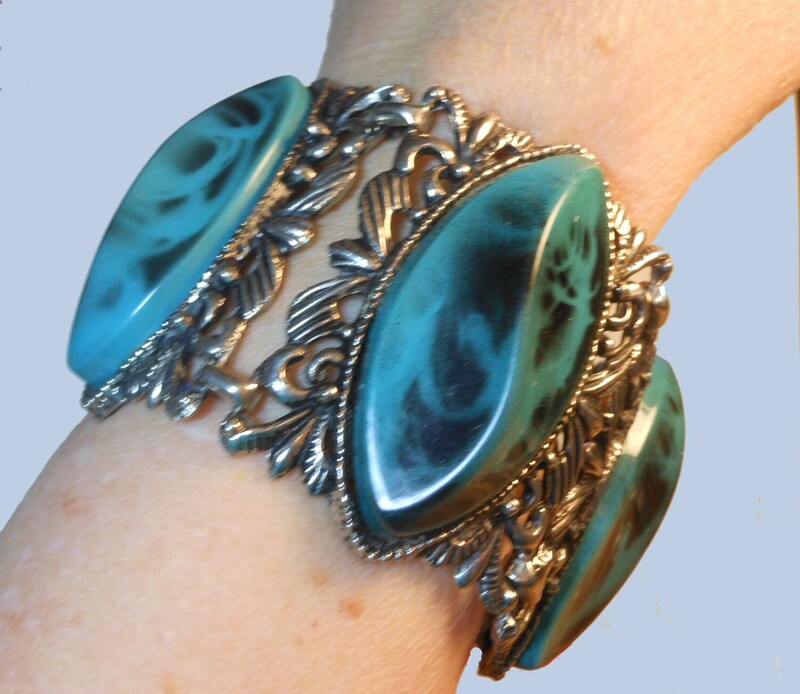 I have seen this bracelet attributed to Judy Lee.